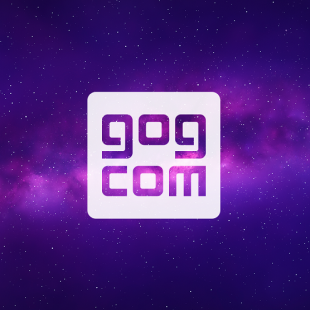 GOG has launched a new sale discounting a number of its exclusives up to 80 percent. While GOG sells a wide variety of titles both old and new, it's still perhaps best known for its dedication to reviving retro PC titles and revamping them to be compatible with modern machines. It's an aspect of the site that's led to some interesting exclusives that you won't find anywhere else. Hoping to celebrate the more unique portions of its catalog, GOG has launched a new "Only on GOG" sale featuring bundles and discounts on games that you won't find anywhere else. The sale, which will end this Sunday, began earlier today and is offering up to 80 percent off of a variety of bundles filled with games that are exclusive to GOG. Among the bundles available are the D&D Classic Bundle and D&D: Gold Box Bundle, both of which contain a variety of Dungeons & Dragons games ranging from early classics like the Eye of the Beholder games to more recent favorites like Neverwinter Nights. Also currently on sale is a bundle of recently released Warhammer titles as well as a collection of exclusive Star Trek classics. On top of all of this, GOG will also be selling digital copies of The Witcher 3: The Wild Hunt for half price during the course of the sale. The rest of the Witcher series is also on sale. Just speaking personally, I've had my eye on GOG's Gold Box library for some time now and this looks like as good an opportunity as any to pick the whole thing up on the cheap. What do you guys think? Do any of the bundles strike your fancy or are there other exclusive collections (cough Star Wars cough) that you'd prefer to see included in this sale? Let us know! Just looked at my wishlist on there and nothing is on sale. I figure the star wars games will go on sale at the time the new movie is released. Checked it. It's the usual suspects. D&D interplay titles, etc. What's weird is that they're including Witcher 3 which certainly is not exclusive to GoG. Whereas many titles that actually are exclusive to goG, are not included in this sale. I know they've been getting the rights to sell more star wars games, I'm surprised that neither them nor any other platform has tried to get the rights to sell the original Star Wars Battlefront as that doesn't seem to be available anywhere. GOG is owned by CD Projekt RED who made The Witcher games. It's rare that their sales don't discount The Witcher games.